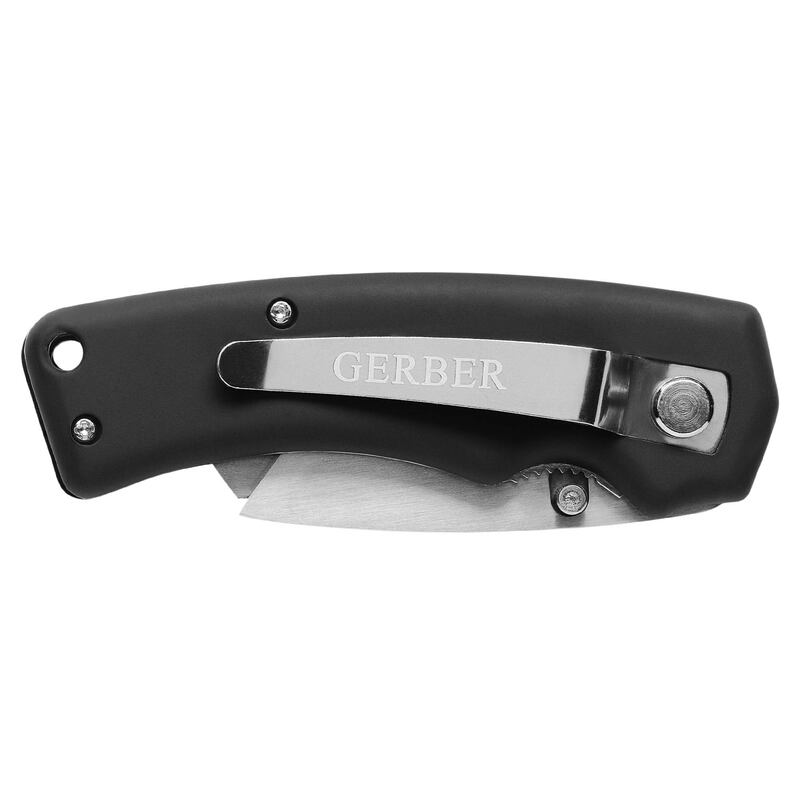 Gerber Edge TacHide Utility Knife with spring lock and secure TacHide black rubber handle, getting the job done has never been easier or safer. Replaceable Utility Blade uses contractor or standard grade, TacHide Handle for a secure grip in all conditions, spring Lock for easy press and release blade replacement. 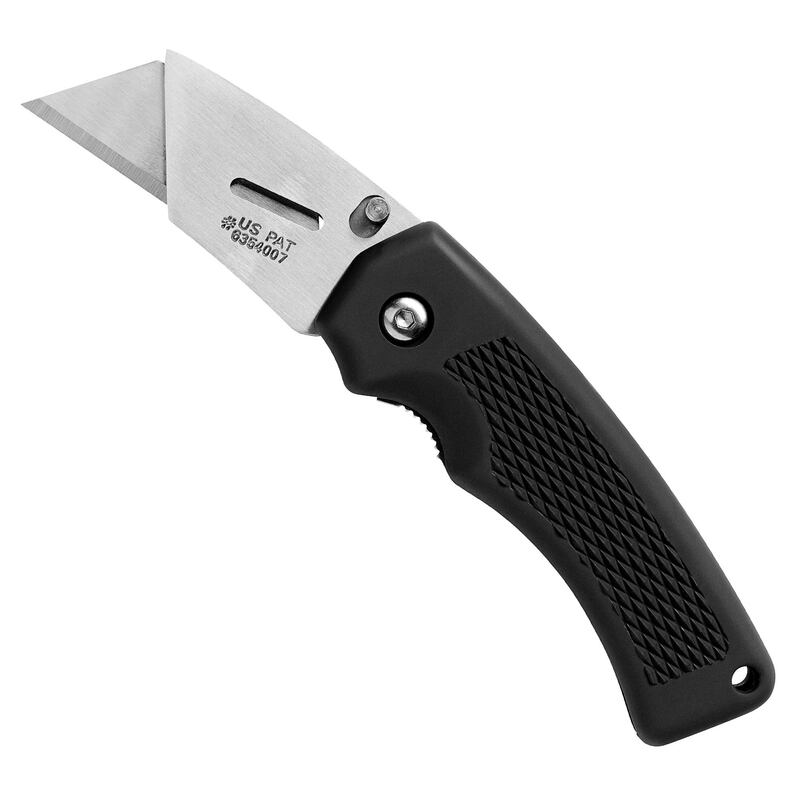 Pocket Clip for safe easy carrying.